Happy National Running Day Everyone! I'll be honest with you ... 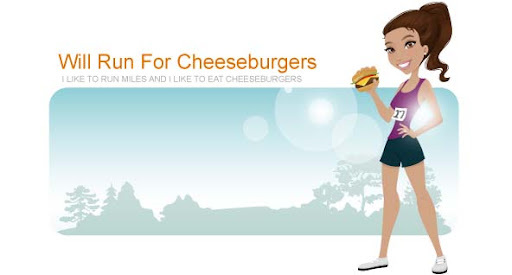 I didn't know National Running Day was on June 1, 2011 until I saw it plastered all over the blog world mid afternoon. By that point I had already decided to take today off from running and promised myself I would attend my first pilates class. Who am I to let myself down? So I went to the YMCA ready for the class at 7pm. I wish I could take back that hour of my life. Such a hard work out! Here I thought pilates was all about your core and working out abs ... never did I think it would include all sorts of LEG exercises. There is a good chance I won't be walking much tomorrow, let alone running the 4.4 miles I planned on doing with my meetup group. That didn't stop me from heading upstairs to the treadmill area to do some running. I couldn't let today slip by without doing a little bit of running, I mean come on, the whole day was dedicated to the sport. So I ran for 10 minutes and did 1.15 miles. I quickly jumped off the machine and hobbled walked out of the YMCA. After a quick dinner of cheese and spinach ravioli and sliced fresh bell peppers I decided to treat myself to a little dessert. 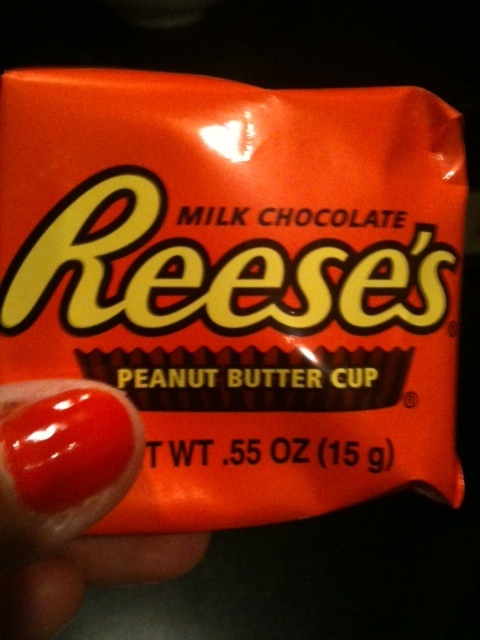 I'm not usually a big sweets person but once in a while I do like to indulge in a Reese's peanut butter cup. mmmmm delicious. Here's to hoping my legs feel fine tomorrow!